Well-tried jewelry glue for plastics, fibers, glass, metal, stones, pearls and ceramics. Knots in beading cords can be very precisely positioned with the help of this glue. 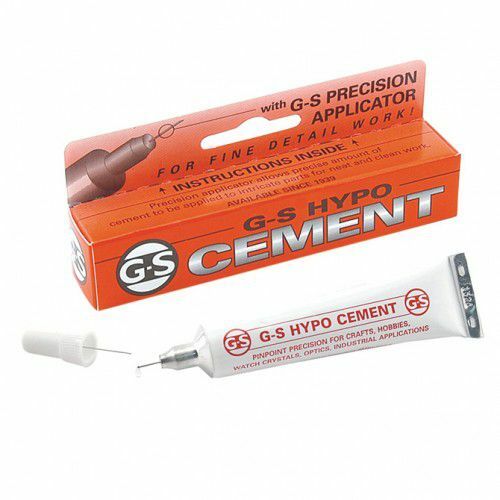 This glue dries clean and leaves no traces. 9 g tube with attached tip to apply the correct amount.